The murder of beautiful Inge Lotz and subsequent trial against her boyfriend, Fred van der Vyver, made headlines over a number of years. It has been described as one of the most sensational murder trials ever in South Africa. Even today, some 12 years later, it still makes headlines. This is the story of the murder trial as experienced by one of Fred’s advocates, Barry Pienaar. In March 2005, Inge was brutally murdered in her home in Stellenbosch. Her boyfriend, Fred van der Vyver, was later charged and tried for her murder. The police and the general public were convinced that Fred was guilty, but his lawyers thought that they were representing the most frightening of clients: an innocent man. Barry Pienaar is one of the advocates who acted on Fred’s behalf and here we get an unique and personal view of the facts presented at the trial and with what was going on behind the scenes, both before and after the verdict was given. We are carefully led through the circumstantial evidence that was presented by the prosecution and that given by the defence’s expert witnesses. It is likely that a lot of readers believe that Fred murdered Inge. 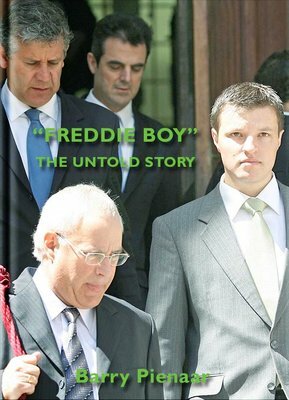 Having met and worked with Fred since 23 February 2006, Barry believes that he did not do it. However, he provides a balanced and objective account.